In my book - BeHappy! - I devote an entire chapter to the subject of relationships. Because relationships can either be the most important contributor to a completely fulfilled and happy life or the most significant destroyer of happiness and enthusiasm in our lives. As the quote to the right by my former business partner, Tony Robbins, indicates, great relationships are key to a happy life. "The quality of your life is the quality of your relationships." A happy life is key to great relationships. It's basically what I call a relationship "Happiness Loop". In contrast to the most common perspective about the link between our relationships and happiness – which is: "find or develop the right relationships and you’ll be happy" – my premise is that it is largely the other way around. What I mean is: “be happy and you’ll find, create, and maintain the best relationships”. The fact is, it really works in both directions – which is why I call the process of finding and maintaining great relationships a “Happiness Loop”. What this diagram indicates is that, FIRST, being a happy person will help create and maintain better, longer-lasting relationships. Then, better, higher-quality relationships will help you be happier. It's an incredible self-fueling, positive, fulfilling cycle that can either accelerate your happiness exponentially if it's moving in the right direction, or destroy happiness (sometimes forever) if it's heading in the wrong direction. Yes, by being happy – especially if you’re very happy - you will find, develop, and maintain the best relationships, which, in turn, will make you even happier. And when I use the word ‘relationship’ here, I’m referring to all types of relationships … like friends, family, business partners, and romantic relationships. These are all important to the happiest possible life. And, based on research studies, the happiest people have the highest quality relationships. Because by being happy, you attract significantly more opportunities to create the highest quality relationships. You can even make finding your “soul mate” easier or more likely - if that’s what you’re seeking. By being happy, you’ll also establish the best possible relationship with your children, your parents, your siblings, business partners, etc. And while there are certainly no guarantees (there rarely are in life), it definitely makes the odds a lot higher that you’ll create and build the best relationships by being happy – and the odds a lot lower by not being happy. Part of the reason for this relates to the “law of attraction”, a concept made popular recently by the book and movie called “The Secret”. While I don’t believe “The Secret” provides everything we need to get what we want in life, I do believe it is one (perhaps major) component of the process. 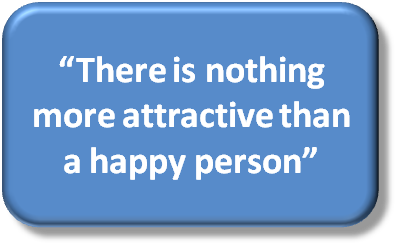 Fundamentally, though, people (especially the people you want in your life) are attracted to happy people. So, if part of your life right now is focused on finding that perfect person for you to spend the rest of your life with, or if you need to resurrect or repair a dying or damaged relationship, the key lies within you; not in some dating or matchmaking service – or even in relationship counseling. Because right now – today – this very minute - you have what you need to make it happen. And that key lies in your happiness. Because as Norman Vincent Peale once said, “Change your thoughts and you change your world”. It’s really that simple. Simple, yes – easy, no. Think about it. Who would the person you want to spend time with (perhaps the rest of your life) like to spend their time (or life) with? It’s not likely a miserable, stressed, depressed, dull, or negative person, right? And what would make your relationship with your son or daughter the best is could possibly be? Is it by being grumpy, angry, condescending, selfish, or demanding? Not likely. We all like to be around people who make us feel good. And human beings fundamentally want to be happy and fulfilled. Also, happy, successful, fulfilled people like to be around happy, successful, fulfilled people. Again, it’s that simple. I know in my life, the best relationships I have built have been made possible almost exclusively (yes, I said “almost exclusively”) because of my happiness (i.e. attitude) at the time the relationship opportunity presented itself (more on this point in a few minutes) and also the happiness of the other person - or people - involved. Back in 1985 I went on a ski trip with the Tampa Bay snow ski club. I didn’t know anyone on the trip other than the leader – a long-time great friend named Chip (we’ve been friends since high school over 30 years ago). The trip started with a flight from Tampa to Denver, then about a 90-minute bus ride to Snowmass, Colorado. As you know if you’ve spent any time on this website, my last name is DeMesa. Well, the leader of the trip (my buddy Chip) seated everyone on the plane and the subsequent bus ride in alphabetical order. So, seated next to me was a couple named Jeff and Patty Dempster (since the first 3 letters of both of our last names were the same). It was obvious from the start that Jeff and Patty were happy, fulfilled, positive people, who had a great relationship together. You could just tell. They laughed and smiled a lot, were playful and enthusiastic, and just “looked happy”. And, apparently they could tell the same about me (as they have since confirmed). For the whole flight (about 4 hours) and the entire bus ride, Jeff, Patty, and I, laughed, joked, played games, told stories, learned about each other and just had a great time together. We commented toward the end of the trip that we seemed to be the only people on the bus having so much fun. In fact, we had such a great time, the entire travel day seemed to go by in minutes rather than hours. And for the whole next week in Snowmass, we were inseparable. That was over 20 years ago, and to this day, Jeff and Patty are amongst our closest friends (‘our’ here means my wife and soul mate, Jill - and me). We see them regularly, go on vacations together, and are in frequent communication with them, wherever we are in the world. Why was this possible? Could it have just been a coincidence? Could it have happened with anyone? Would it have been the same if I had been an unhappy person or if they had been unhappy people? Sure, it could. Anything is possible. But it would have been much less likely. I would venture to say, highly unlikely. More importantly, even if a relationship between us had been initiated, with either of us in a negative frame of mind (i.e. unhappy), it would probably not have turned into a close, life-long (and life-changing) friendship like it did. As an added point, back then (in 1985) Jeff had been through a recent career change. For about the previous decade, he was a buyer for a department store, and he hated it. Apparently, he was miserable. He had little passion and almost no drive. He was so unhappy, he was a 3-pack-a-day smoker, didn’t have many close friends, and not much of a social life. 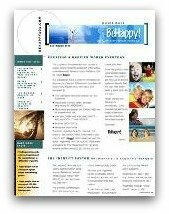 (This career/job happiness issue is the topic of my upcoming book, called BeHappy! at Work, which should be out by mid-2009). Changing careers – for Jeff – changed his life completely. He became happier and more fulfilled and started enjoying life (like going on the ski trip). He even quit smoking and hasn’t smoked since! And he has a whole new group of very close friends (so lots of great relationships). The point here is this … Jeff has said to me that, if I had met him just a year or two earlier than I did (when he was miserable and depressed) “we would probably never have become friends”. How insightful and true that statement is. Part of the reason is, first, because I likely would have not found him very fun or exciting and so even though we were seated right next to each other for several hours on that ski trip, we probably would have just chatted briefly (at most) and almost certainly would never have developed a solid relationship at all. Even more practically speaking (and just as impactful) is that – as the “miserable” person – Jeff would likely have never been “out there” on a ski trip in the first place. So, I never would have even met him (it’s tough to develop a relationship with someone without ever interacting with them). That’s a very important and philosophical point. If you are not totally happy (as happy as you could possibly be), who are you missing out on meeting because you hold back – even just a little – on “being out there” and “playing full out” in life? This brings me to the matter I mentioned near the beginning of this article when I stated, “at the time the relationship opportunity presented itself”. This is important. So make sure to get this concept. I said it was my happiness “at the time the relationship opportunity presented itself” that was key to the relationship starting. Let me ask you … when do opportunities for relationships present themselves? The answer is - they can present themselves at any time, at any place, under any circumstance. It could be a chance meeting in a subway, or a brief chat in line at a grocery store, or being seated in a bus together on a ski trip, or while walking on a secluded beach, or any of the thousands of different relationship-building opportunity moments during your day, week, or month. So the point here is this … when do you need to be happy? The answer is – all the time. Because you never know when your “soul mate” or life-long best friend is going to be there, ready to develop a relationship with you. He or she may be walking down the same beach or eating at the same restaurant. So if you are very happy, a dating service could actually work if you’re looking for an intimate, romantic relationship because it will present you with many opportunities and you’ll be ready for the right one. It’s the person who uses a dating service with the objective of trying to become happy by getting the right relationship who will likely be very disappointed and hurt. Like I said, the key to great relationships is simple, but not easy. Be happy all the time? That seems almost impossible, right? Well, maybe, depending on what is meant by “being happy”. And that’s why there is this BeHappy! website, my BeHappy! book, and the whole happiness concept I have created here. Because we do need to be (and can be) “happy” all the time - even when we’re in the midst of tough, painful times in our lives. But it may not mean what you think. Because being happy “all the time” does not mean always feeling upbeat, enthusiastic, or positive. That would not be practical – or even healthy. We all have tough times. Life can be very stressful. Everyone has problems. We’re all “down” or sad at times – maybe even for relatively extended periods. So what does it mean? Well, it’s analogous to being healthy. You can certainly be “a healthy person”, even though occasionally you catch a cold, or get the flu, or come down with food poisoning. You might be sick for a week or two – or even longer in some cases - but you are still a healthy person. It’s the same with happiness. You can be “a happy person” and still get down (“sick”) at times. That’s normal. So in the context of the “BeHappy!” philosophy, even during the difficult times (your “sick” times), if you are truly happy (“a happy person”), it will shine through, people will feel it, and they will respond to it. I provide an example of this in my book when I recall the death of my father at an early age. It was 1982. He was 57 – I was 24 and in medical school at the time. We were very close. He was fine (healthy) one week and dead the next (he died of a severe and untreatable case of pneumonia). It was terrible. But as painful, traumatic, and sad that experience was, I was still a happy person overall, which allowed me to “move on” and still live life to the fullest with a positive and grateful attitude. I still think of my father a lot and I believe he is still with us in many ways. Certainly, however, for a few months after he died, I was “sick”. I probably did not even “look” very happy for a while. I didn’t go out much. I didn’t laugh as much. I was not in a happy frame of mind. But I was still “a happy person” and I recovered relatively quickly. Yes, BeHappy! is about making us all happy people … all the time. Not just brief periods of joy, but a deep sense of contentment – both conscious and subconscious - that transcends the challenges and tough times we all face in life – like the death of someone close, a divorce, or significant financial pressures. It’s not that everything is always perfect or that we don’t have problems, stresses, sad or down days (or even weeks or months). But even with the inevitable, sometimes frequent, harsh realities of life – which can be brutal – we can still be happy overall. This is the key to relationship success. And relationship success breeds more happiness. So that’s why I call relationships “The Ultimate Happiness Loop”. It’s because to develop the best, most fulfilling, longest-lasting relationships, we need to be happy first – not the other way around. Then, when those great relationships are established, happiness becomes even more abundant and continuous. It’s a “loop” or “cycle” that begins to fuel itself and grow exponentially forever. 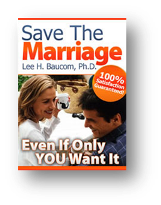 Now, this may offend some of you, but I’m going to say it anyway – I believe that if you are having trouble maintaining great relationships, or if you haven’t yet found the relationship (or relationships) you are looking for, it’s at least partly because you are not as happy as you need to be to keep or attract the right person or people into your life. Even more disturbing - if this “cycle” is moving in the wrong direction, it can literally destroy happiness completely – making life absolutely miserable. This is the topic of another article I’m planning, called Getting Out of the Bad Relationship Loop. In short, though, what this means is that, if you’re not as happy as you can be (first), then you will either not be developing the relationship(s) you are seeking, or you will be developing the wrong relationships (disempowering, short-term, or even dysfunctional relationships). This will affect your attitude and your happiness negatively, which will then make it even more difficult to find or develop the right relationships. It’s a downward spiral. In summary then, the simple concept here is this: be happy and you’ll attract, create and maintain the best, strongest, most positive, most fulfilling relationships possible - and, by creating and maintaining these great relationships, you’ll grow even happier! The not so easy part about this is getting to the point of being as happy as you can be so that your happiness loop is moving in the right direction. That’s what this website (www.behappy101.com) is all about – making you as happy as you can be. 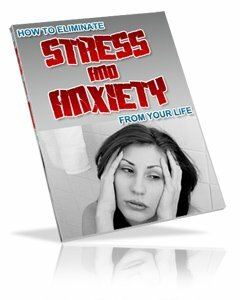 So use this site as a regular tool available to you 24/7/365 to improve your life. Consider it an “e-coaching program” that you can access at anytime for tips, tools, and inspiration toward greater happiness. This article is just the start of a relationship “foundation” for happiness. Check back on the website often - and in The BeHappy! Newsletter for much more on the subject. I am an entrepreneur, author, speaker, coach, doctor, husband, and father of two beautiful little girls. My personal mission in life is to be a positive, creative force for health and happiness. BeHappy101 is a way for me to fulfill that mission by sharing the best tools, strategies, and information to help anyone live a happier, healthier, more passionate, joyful, fun and fulfilling life.